We live in an age where we depend on computers for practically everything in our lives and without them we would be very-inconvenienced. So that being said you can probably imagine just how broad the computer niche really is. Practically everyone on planet earth uses a computer and that means plenty of opportunity for continued sales and profit. You can really dig into some very specific skills, hardware, software, gadgets, etc to find a unique topic for your website. Another thing this means is no shortage of high traffic or low competition keywords when being targeted and specific for the latter. 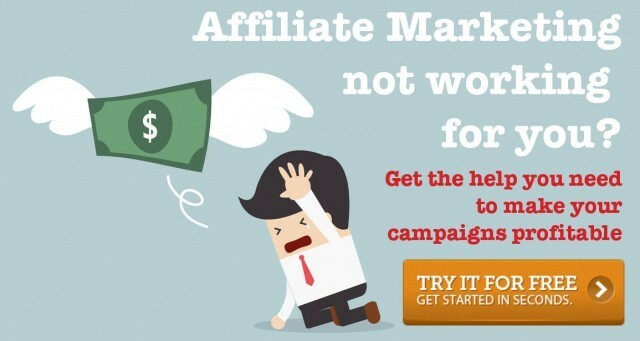 Not only will keywords not be a problem for you to find, but finding affiliate programs will not be a problem either. Practically every store sells either computers, parts, accessories, supplies and furniture. It will be important when narrowing down your niche to pick one that is not too broad. Just like a computer has many smaller working parts, you will need to dig down and find that focused sub niche in which to start off at. Starting with a specific kind of semi popular computer like a MacBook Pro is not specific enough. Focusing on a particular kind of computer would be a step in the right direction for finding a more-narrow niche. Computers like the recently popular all-in-one models could be the start of your sub niche category. Better still you could focus on an important part of a computer, and one in a particular category, such as a type of monitor used for playing video games. One area that has become very popular with all kinds of computers and peripherals is the use of Wi-Fi. This is an exploding market for computer products and even though it has become a somewhat saturated market, it is one that can still be profitable if you can find and tap into a new area where Wi-Fi is making new inroads. This may seem obvious, but there are definitely types of wifi products to look into. I know someone that has a very successful website just about kids tablets with wifi. Or what about how to get wifi while traveling in developing countries? Even troubleshooting wifi devices could be a possible way to help people solve a problem. You have a tremendous amount of targeted niches to choose from and each one in and of itself will have sub niches. 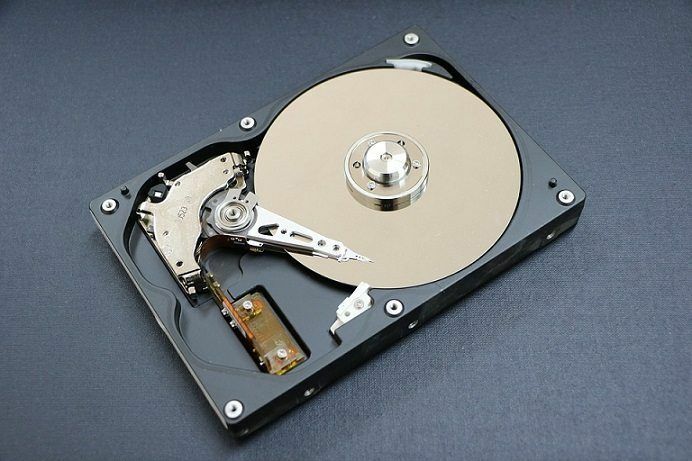 Another area to look into when it comes to the computer niche are the up and coming popular upgrades like DDR4 – Double Data Rate Fourth generation random access memory (RAM) upgrades. Though most all new computers have this type of RAM already built-in, many people with older computers and those that build their own computers, will need this technology. Keep in mind that technology will change, and as it does, that's always an opportunity to capitalize on. Below are some more sub niches to consider. When it came to my research of affiliate programs I did not find a shortage of companies to choose from. Seeing that there is so much to consider when it comes to computers, I wanted to select a broad range of programs that offer more than just the computers themselves. I also wanted to present to you a broad spectrum of programs for my top three. One thing I knew going into this search for computer affiliate programs was that I wanted to stay away from the obvious programs like giants Amazon, Best Buy, Comp USA, and the like. Not that they aren’t viable candidates, but because in most cases their commissions and cookie durations are really low. This does not mean you should avoid them, and Amazon is one I would select nonetheless because of their vast inventory, but I wanted to showcase to you some other options that are available which can be a bit more lucrative. Remember, a 3 percent commission may sound low but on a $1,850 Apple MacBook Pro, that comes out to a $55.50 commission. Comments: I am starting off here with one of the leaders in computer technology, Microsoft (you can check out my full review of the program here). Of all the big-name computer affiliate programs I researched, Microsoft made the best impression on me for a few reasons. 1) They are Microsoft. 2) They offer a fairly high commission structure. 3) They provide a range of products and 4), their affiliate program website was user friendly. No matter what your specialty is, a blogger, an app developer, a computer affiliate site, a device company, a start-up or you just want to monetize the traffic on your website, the Microsoft Affiliate Program provides a great opportunity for you to partner with Microsoft and give your website traffic access to quality products and make money at the same time. This affiliate program features a variety of Microsoft products from hardware to software, Xbox consoles to phones, and many things in between that can earn you up to 10% commission on qualifying purchases and with a 14 day cookie duration. I was very impressed with this program. Comments: With my number one pick being about Windows-based PCs, my number two selection here is for the Apple PC market. Mac of All Trades is the pricing leader for buying and selling used Apple/Macintosh computer hardware on the internet. They have been serving the Apple community since 1995 and they have a great reputation for offering exceptional customer service. It does not matter what kind of Apple computer you are looking to purchase, Mac of All Trades has them all from a MacBook to an iPad to an iPhone, and they have discount prices with high class service. If you are selling an Apple computer or mobile, they will also provide quick payment. Their website was easy to navigate and they offer the standard 3 percent commission with an above average 20 day cookie duration. Their customer service for their affiliate program also has the same impeccable service relationship with their affiliates as they do with their customers. Comments: Tee Support is the leading place online providing remote technology services to consumers and small businesses for their Windows PCs, peripherals, devices and software applications 24/7. Tee Support live online tech support is powered by highly qualified experts who are 100% with Microsoft certifications. Being that most computer problems are software related, Tee Support can fix the problems remotely using their safe, secure, proprietary technology. The consumer does not have to unplug the computer and take it to be fixed. From virus removal to system maintenance, Tee Support experts have assisted consumers the world over. I chose them as my number three selection because of the unique type of service they provide and their great track record in their respective field. Another reason is their high commission payout of 45 percent and above average 60 day cookie, along with an easy to navigate affiliate website. When taking on such a broad niche as computers remember that you need to really narrow down your starting point to a defined audience. Seeing how there are so many possibilities to choose from you may want to select a category you either know a lot about or are willing to do some research into. One thing to keep in mind is that everything with a processor inside is considered to be a computer. The smartphone you use is a personal computer, with a camera and telephone software added to it. So when choosing a sub niche to focus your website on, take that market into consideration. Let me give you an example of what I would choose if starting a computer niche website. Because the mobile market is huge and will continue to grow and innovate, I would select my computer affiliate niche website to be about Wi-Fi enabled tablets. In particular I would choose the original tablet maker Apple, and start with the iPad Pro and add other tablets later on. You may think, “well, there's only Apple and Android!”. That's not true. There are hundreds of types of Android tablets, and many that run Windows as well. Don't forget about Amazon, and there's bound to be some other OS's out there too. There's ways to customize them, make upgrades, develop apps, play games, and of course you'll have to troubleshoot from time to time. As technology progresses, you'll be able to play better games, connect with more people, just do more stuff. All of this is potential content for your site. 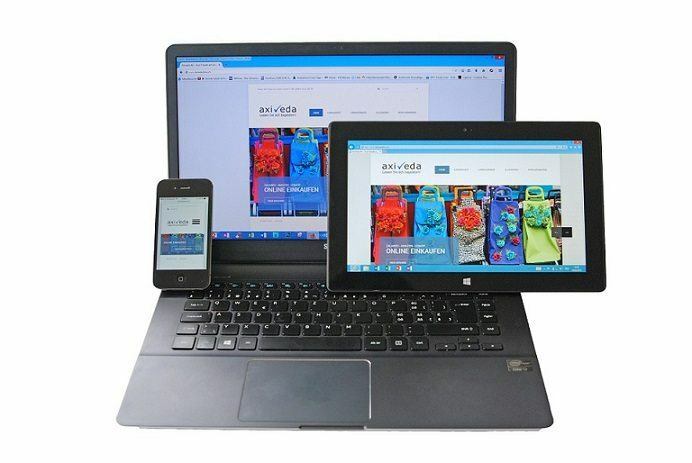 I would choose this as my starting point for my computer website and offer not just the tablets but the accessories which a majority of buyers will always purchase as add-ons to better personalize their mobile devices. Waterproofing gear, various types of cases, charging devices, and decorations come to mind. You may feel a bit overwhelmed at the prospect of taking on this niche and breaking it down to something more focused that you can profit from. Well, the good news is that I am here to help you with that task and direct you to the same, easy-to-understand training I received on how to build my first website and earn money from it. These courses are from the online leader in affiliate marketing training with over 10 years of successfully helping people like you and myself. I was once where you are now, struggling to succeed in my first online business. The name of this awesome community is Wealthy Affiliate and they will guide you step-by-step through the training process. Plus I am an active member, so you will have me there to help you too. Wealthy Affiliate offers a free starter membership where you can experience firsthand what the training has to offer. Don’t worry, you will never be alone in your new endeavor and will have the full support of the entire WA community. To get started just click the below image. Thanks for sharing this info. It’s most times hard to decide what to opt for in the computer niche knowing the wide scope of coverage in the niche and the competition. Awesome stuff! My site is about building computers. Thanks for the advice! One thing has just come to mind after doing a search for one or two of the computer keywords you mentioned above, and that is – what about buyer intent? I ask this because many of the keywords in many niches may bring high traffic (if getting a site on page 1 of google), BUT are they buyers, or are people simply looking for free information to their issue? Like screen backgrounds – the majority want these for free to simply download – and they are free. Also the same for computer problems – the majority want free advice, so how many come to the website with credit card in hand ready to buy?